Sports can be another great way to bridge gaps across cultures and to get people who may think they have nothing in common to start talking. So it is not a surprise that there are organizations around the world that do their best to bring young people from different countries together to meet over their favorite sport. The question arises, though, whether these organizations offer what you personally need from an exchange. We sometimes get questions from people interested in working with exchange students through the medium of sports. In one case, an organization in Brazil contacted us, looking to find a way to send promising teen and pre-teen soccer athletes to the U.S. as exchange students to learn about the U.S. and to have an opportunity to play competitive soccer during a school year in the U.S. In another case, a small U.S. non-profit was hoping that exchange students from another country could participate in the organization’s program while studying here in the U.S. and obtain competitive level basketball training, with the possibility of being recruited for college-level play. We also sometimes hear from parents. One email was from a father in Greece who had visited friends in Florida with his family. The friends offered to host his son so that he could go to high school in Florida and play varsity basketball at their school, and the father wanted advice on how to make that happen. Another email we received recently was from a parent in Germany. She wanted to make sure that her son would be able to play competitive soccer during his exchange year in the U.S. Should she just tell the exchange organization she wanted to go through? Should she herself search online for a family who had a teen who plays soccer, she wondered, or perhaps she should get in touch directly with high schools that have high-level soccer programs and then contact a sponsoring organization? Great ideas. The devil, as always, is in the details. The answer we had to give these people was essentially that they could not do what they wanted to do. There is a great deal of concern in the U.S. about students “shopping” for schools for athletic reasons. That concern crosses over into the exchange student world, and it’s against U.S. government regulations to place an exchange student in a school specifically for the purpose of playing a particular sport. In fact, when a family finds its own host family for their student (what we call “direct placements”), those students generally cannot play sports at their school unless they get a waiver from the local high school athletics association certifying that the student was not placed at that school for sports reasons. 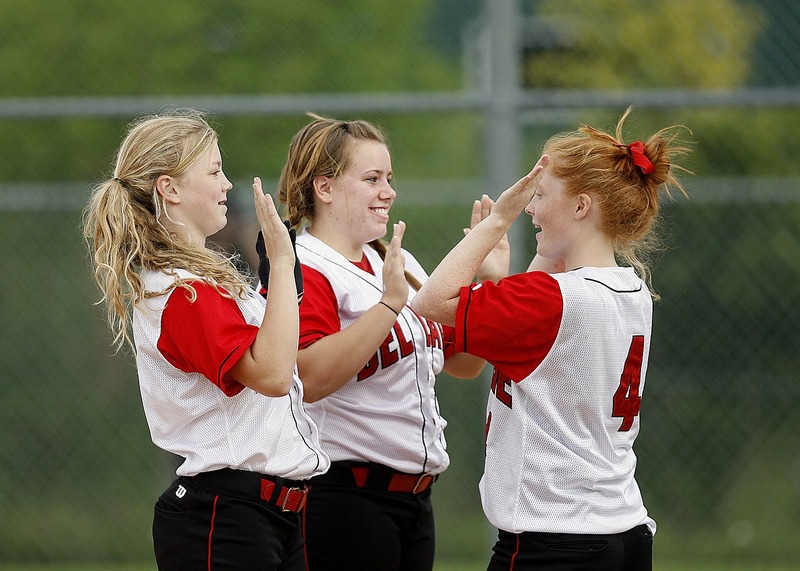 Many exchange students do engage in sports at their school or in their town. But there are no guarantees. An exchange student may not be able to qualify for a school team, particularly if the team is competitive; exchange students often have to try out for a team like everyone else. Some U.S. states limit exchange students to less competitive teams, keeping varsity team spots for American students who may be using their sports experience for a longer term purpose (such as trying to get a college scholarship, for example). If an exchange student doesn’t qualify or can’t play varsity, or if he or she isn’t able to play on junior varsity for any reason, there often are local city leagues, recreational clubs, or even possibly a competitive club in the student’s desired sport. These options would be outside the school day, and would be at additional cost to the student and his or her family. It’s also important to note that these opportunities may or may not be at the competitive level the student is seeking. What about the option of coming to the U.S. on an F-1 visa instead of a J-1 visa, since F-1 visa students apply directly to a school? We’ve been asked this question; parents have contacted us thinking that this is a way to make sure their child can play the sport of his or choice. However, because F-1 students choose the school they will attend, they generally are unable to play school sports. The concern about “shopping” for schools for athletic reasons still applies. Sports Envoy Program: Sports Envoys are athletes or coaches who lead overseas sports programs on behalf of the U.S. They hold sports clinics, take part in community outreach, and engage youth in dialogues on the importance of leadership and respect for diversity. Read, for example, about Neftalie Williams, who has used his love of skateboarding and his participation in the U.S. Sports Envoy program to bring skateboarding to Syrian refugees in the Netherlands and to Cambodian youth as a representative of the U.S. government. Sports Visitor Program: A short-term program for young people to come to the U.S. for a two-week intensive sports-based exchange. Other programs managed by the Division include the Global Sports Mentoring Program for women, the Sports and Sustainability Initiative, and the U.S.-China Consultation on People-to-People Exchange. If you are primarily interested in playing a particular sport at a competitive level, high school exchange programs are probably not the right vehicle for your student. But if you are primarily interested in the exchange experience — cultural and language immersion, growth in self-confidence, learning how to deal with new situations — then high school exchange may be the right answer, regardless of whether you can play a particular sport at a competitive level during the exchange. While on exchange, we always encourage students to take advantage of opportunities to engage in high school sports or other non-academic activities; it’s a great way to get to know other students at your school, and it can be a lot of fun. The experience is worthwhile! It‘s hard to reach out to people of different cultures when you feel you have nothing in common. But bring out a soccer ball to a field, and kids who do not speak the same language will flock to it and play together without understanding a single word the other child says. As adults, the effects are the same. You don’t need a common language to forge friendships, just a shared love for a sport and respect for one another. –League Network, 6 Ways That a Shared Love for Sports Can Bring Cultures Together, February 2017.